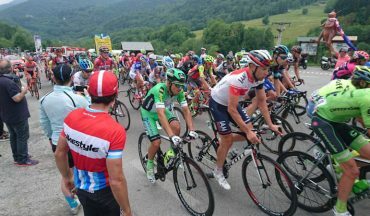 Experience the nervous energy of the first week of racing at the largest annual sporting event in the world, the 2019 Tour de France. The race will embrace the achievements of the great Eddy Merckx with the Grand Depart in Brussels. 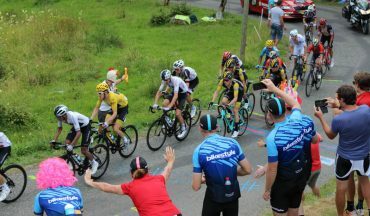 Experience the nervous energy of the first week of racing at the largest annual sporting event in the world, the 2019 Tour de France. 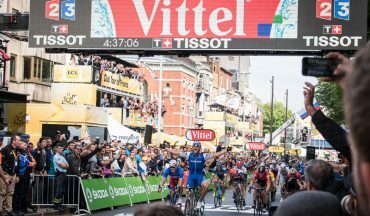 The race will embrace the achievements of the great Eddy Merckx with the Grand Depart in Brussels. It is 50 years since Eddy won his first (of five) Tour de France races. 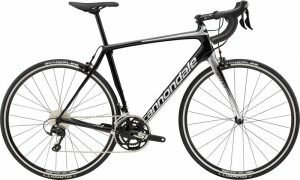 Our trip starts in the famous Flanders region and follows the race route into France as it crosses beautiful wine regions. It is only obvious then that we should explore beyond the race and taste the bubbles of the Champagne region, the crisp whites of Alsace and the well rounded Grand Cru in the Bourgogne region. 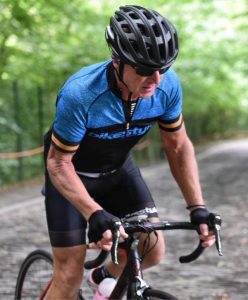 It is not only about wine though, there are also great rides routes such as the Oude Kwaremont, Koppenberg and Kapelmuur from the one-day Spring Classics races and the beautiful Ballon summits amongst thick forest in the Vosges mountains. Our tour is designed predominantly for cyclists and also for their non-cycling partners. Our carefully designed itinerary reduces transfer distances between hotels and the race, so that you can relax, enjoy riding and recharge yourself during the trip. 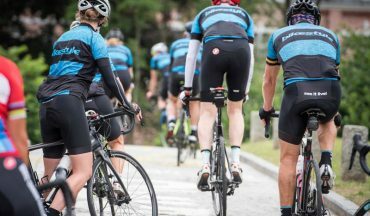 We will get you across the country in comfort, like a professional cyclist in our custom fitted luxury coach – with its own bar, reclining seats and coffee machine. It will also meet you at the end of the rides allowing you to have a hot shower before heading off for a drink or watching the race. Welcome to the home of fine chocolate, the world’s best beers and of course cycling. 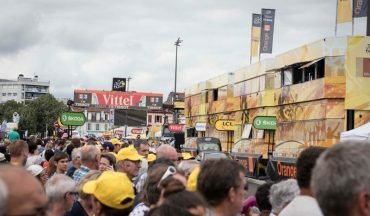 Today we will see the Tour in Geraardsbergen and experience the electric atmosphere and enjoy some fries and mayo, a Belgium tradition. 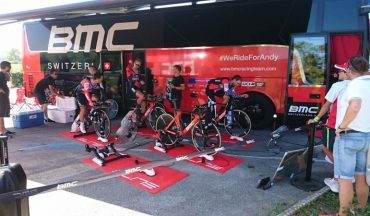 There is nothing more exciting than a team time-trial. We will head to Brussels to see the teams roll off the starters ramp. We will catch today's exciting stage finish in the Champagne Capital, Épernay. Today's ride will visit some of the French and Allied monuments of the area and explore the Meuse river. 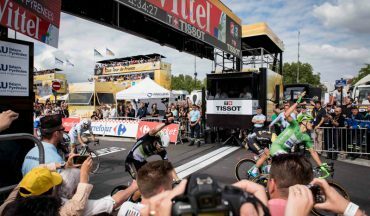 See the battle for the Green jersey as the sprinters will be in full flight for the stage finish in the Alsace capital, Colmar. 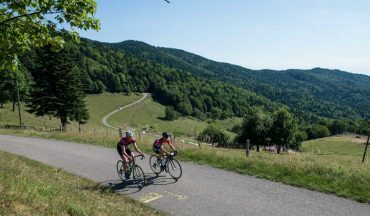 Experience the first mountain stage as the battle for the yellow jersey begins in the Vosges mountains. Today we will leave the mountains and travel across the valley to a more gentle slope, famous for producing great French wine. Côte d’Or is a small escarpment that exposes vineyards to the ideal amount of sun for producing great wine. Today's stage start is a great opportunity to get your favourite riders autograph or a selfie with them. 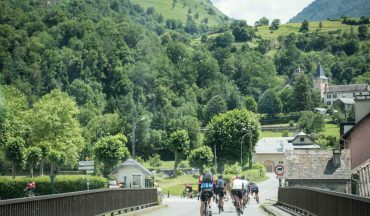 We trust that you’ve had an enjoyable time making new friends, riding stunning roads, visiting beautiful regions and experiencing the 106th Tour de France.